A quick way to find the most efficient heating and air conditioning systems offered by Frigidaire is to search for the ecoLogic ® symbol. These HVAC units are high efficiency and provide additional home comfort options that make them ideal units for homeowners. ecoLogic HVAC systems offered by Frigidaire can positively impact your overall home comfort. These units make your indoor air temperatures uniform and comfortable when sized and installed properly. They can also reduce noise levels. 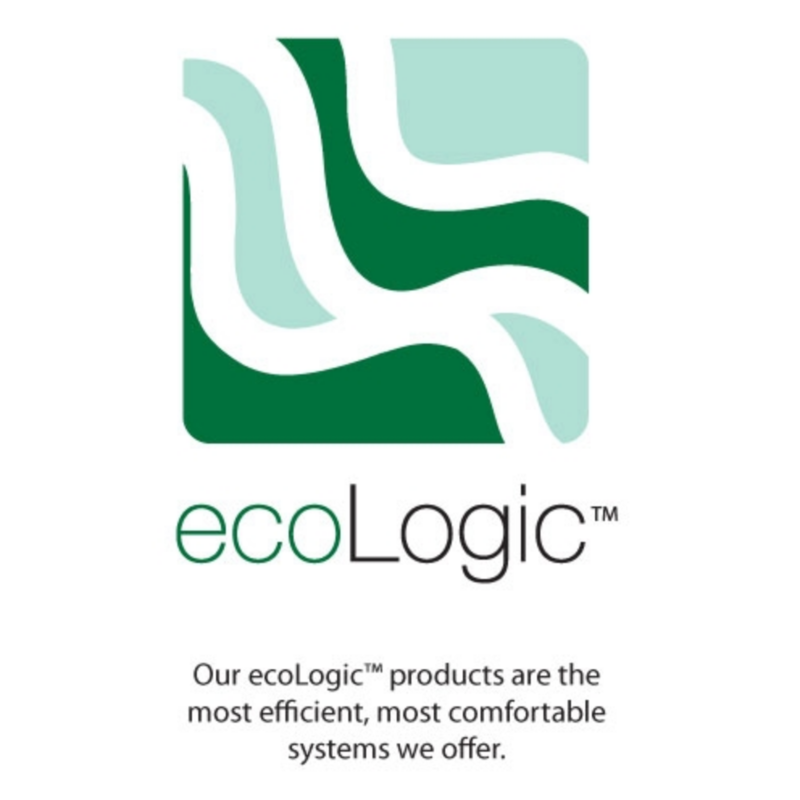 This is because of the noise reduction features that are required of all ecoLogic products. Comfort is closely monitored through humidity assistance and reduction of airborne indoor allergens, when paired with the right IAQ add-on. Efficient heating and air conditioning systems can save you money over the long run and these are some of the most energy efficient HVAC systems. For premium quality, invest in a Frigidaire iQ Drive system. If you are searching for an HVAC unit that will give you peak performance without guzzling too much energy, an iQ Drive system could be the solution t your heating and cooling problems. 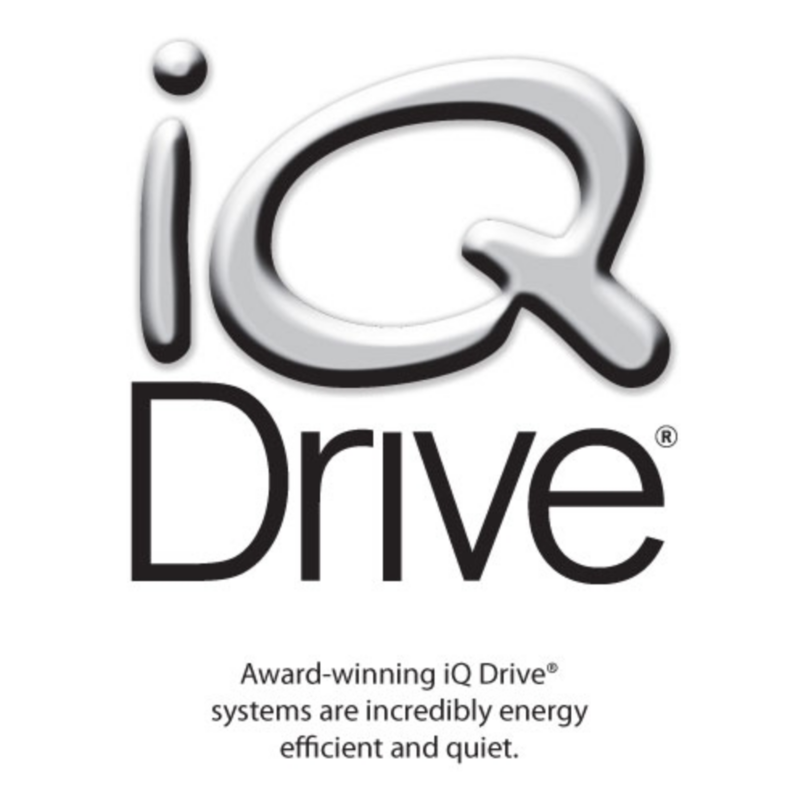 Our iQ Drive air conditioners and heat pumps operate at some of the quietest noise levels in the industry. So, not only are you going to get premium performance, but you will get this without having to listen to the sounds associated with an old, inefficient HVAC unit. iQ Drive furnaces contain iSEER technology that boosts cooling efficiency during the summer when coupled with a 13- or 14-SEER air conditioner or heat pump. So, you’re not only getting the efficient performance of an iQ Drive heating system, but you are adding additional money to your pocked trough efficient operation in the summer as well. Your HVAC specialist will be able to give you more information on your purchase. Use the dealer locator to find the local iQ Drive contractor in your area. Select from the options to the left to tailor your iQ Drive heating or cooling unit to your specifications. For both heating and cooling in one convenient package, turn to the iHybrid system. This packaged unit can save you money through efficient performance and by always using the most efficient fuel for homes in your areas – either gas or electricity. Our iHybrid system qualifies for a seal unique to Frigidaire – the ecoLogic® seal. This means the unit meets certain requirements that allow it to perform above and beyond other HVAC systems – creating a truly comfortable home. This unit also contains features that make it quieter than other systems. Our compressor sound blanket helps block the noise coming from the compressor – often considered the noisiest part of the entire HVAC system. It doesn’t hurt that the variable-speed motor also cuts down on sound, in addition to helping with dehumidification and consistent temperatures. Ask your local Frigidaire contractors for prices on installation and the iHybrid unit by using the dealer locator. Start your search for your new iHybrid system today. Efficiency is king. That is why at Frigidaire we take the time to engineer equipment that offers high levels of efficiency and innovative technology. The iSEER technology in our fixed- and variable-speed gas furnace motors is no exception. With this innovative technology, you can boost the cooling efficiency of your 13- or 14-SEER air conditioner or heat pump by one entire SEER point. Furnaces that utilize iSEER technology also come with additional system features. 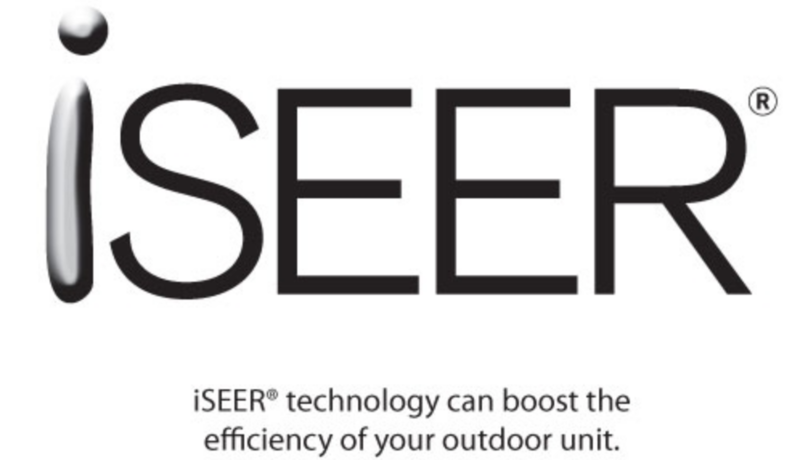 For example, if you go with the variable-speed iSEER motor it is compatible with an iQ Drive® outdoor unit – no additional kits required for installation. Although iQ Drive systems are higher than 13/14 SEER, it is important that your gas furnace/indoor component is matched with your outdoor system to get the promised efficiency savings and the benefits provided by our exceptional warranty. Filter your iSEER compatibility search by using the options to the left of your screen. This can help you take one step closer to a more efficient HVAC system that offers premium home comfort features.